Much like their crosstown rivals, the No. 10 in Class 1A Pella Christian girls had little trouble advancing in the regional playoffs, defeating PCM 10-0 in the 77th minute of action. The Eagles made a mad dash in the final 15 minutes of action, scoring a flurry of five goals to end the contest early. 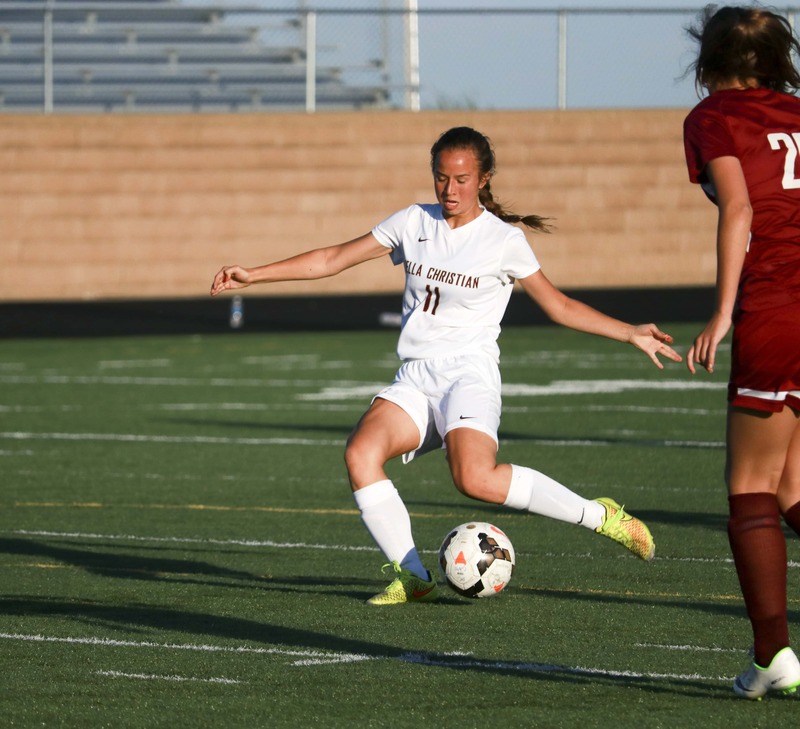 Laura DeZwarte finished with a hat trick for Pella Christian, Annika Terpstra and Anna Van Zee each scored twice, and Mary Kate Bandstra, Cailey Terpstra, and Lindsey Breon tacked on a tally apiece. Junior Makenna Van Dyke tells KNIA/KRLS Sports the closeness of the team has allowed them to improve throughout the year and is the biggest key in keeping the season going. The Eagles added to numerous program records with the playoff win, with seven consecutive victories breaking the 2006 mark of six and their defense producing the lowest number of goals per game allowed at 1.28, dropping below the 2009 number of 1.4. Pella Christian improves to 14-4 and will face Bondurant-Farrar in the Regional Semifinals at Eagle Lane on Friday.